how can we cross the border from udon thani airport to Vientiane? maybe by bus or taxi? sabaidee to you too. it has been a while since i've done this, but thai airways used to have a van that took passengers directly from the airport in udon thani right up to nong khai, which is the thai side of the friendship bridge there. the thai airways van stopped in town and at the bridge. i hope that is still the case, because it was a fairly painless way to go. cost was about 100 baht. once in nong khai, you used to have to board a special bus that took you across the bridge (including through customs and immigration formalities). once across, you'll either need to board a bus for the 20 km ride into vientiane, or hire a jumbo/tuk tuk for the ride (ususally 200 baht or more). one other thing, if you don't already have your lao visa, lao immigration officials used to insist on us dollars for the visa fee, so it helps to have some us cash on hand just in case. 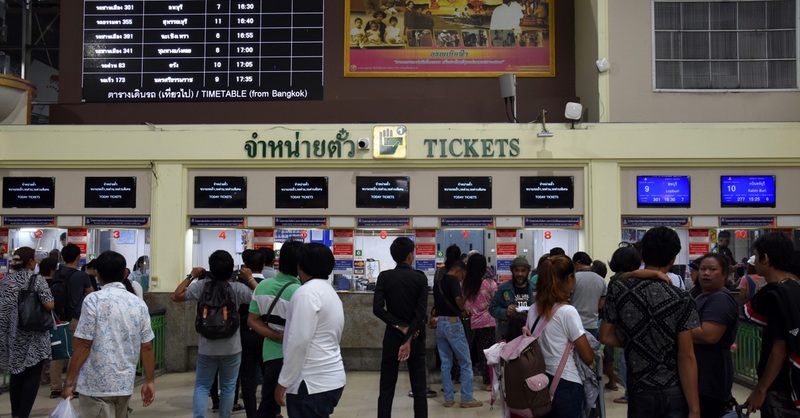 if you are travelling from bangkok, another option instead of flying is to take the overnight sleeper train. it goes all the way to nong khai, where is is a short tuk tuk ride to the bridge. anyway, sorry for the long-winded answer. i hope this helps. regards.